Concept2 rowing machine indoor rower model D with innovative PM5 performance monitor - the best, Concept2 has ever designed! Equipped with new, more advanced PM5 computer! Model D with innovative PM5 performance monitor! Digital heart rate measuring: the heart rate receiver is already included in the PM5. Thus the heart rate is automatically displayed, when you wear a chest strap. One of the most popular rowing machines for club rowers - the Concept2 model D is for many persons the epitome of professional rowing machines. The air resistance system provides a fine resistance setting in 10 levels and provides a rowing movement like on water for beginners as well as athletes. 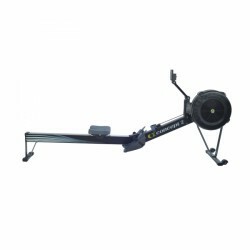 Exercising with the Concept2 indoor rower presents an effective whole body training and mainly supports the cardio-strength. The high-quality frame construction of the approved Concept2 D model meets the innovative PM5 monitor and offers completely new functions for your rowing training. The PM5 training computer offers connectivity via Bluetooth Smart and ANT+ with compatible chest straps. Backup is possible with USB stick. The internal memory of the training computer records more than 1,000 training sessions. New varied games are available for more motivation while exercising. Thanks to an automated connection between PM5 training computers, you can compete against each other without additional computer and complicated settings. Its technically good equipment and excellent workmanship make the popular Concept2 rowing machine indoor rower model D (PM5) the ideal rowing machine for cardio-strength training at home or at the rowing club. The Concept 2 is exactly as described. It was easy to set up and is easy to use. I have yet to come to grips with the different options available for training as I am just using the timed sessions, but there seems to be plenty of choices. Very happy with my purchase. Wahoo chest strap TICKR heart rate strap BT 4.0 /ANT+ In stock! 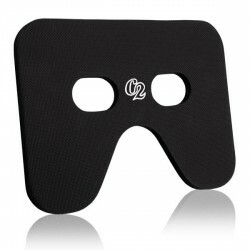 Concept2 floor mat black In stock! Concept2 Smartphone holder In stock! Concept2 seat with back support In stock! Professionelle Concept2 seat cover In stock!